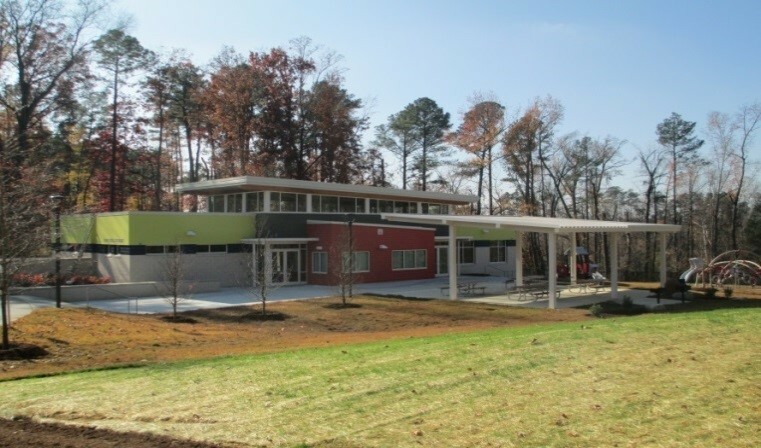 In July, 2011, Racanelli Construction South, Inc. was awarded a contract in the amount of $1,518,300 for the construction of a Parks and Recreation facility for the City of Raleigh. The Hill Street Park Phase One project consisted of construction of a new 3,710 square foot community center to serve as a multi-purpose center, including MPE systems and site work. Site work consisted of entry drive, parking spaces, playground, picnic shelter, landscaping and walking paths. Racanelli self-performed the masonry portion of the construction equaling seven percent of the total project. 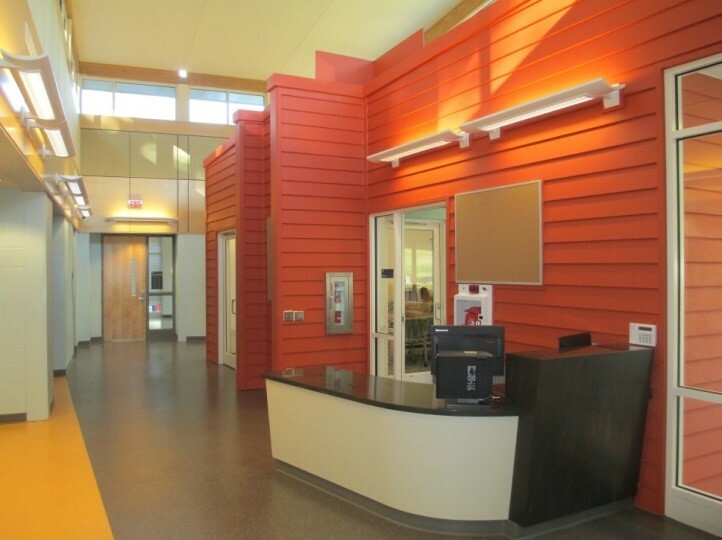 Some of the many different finish materials included the following: hardwood paneling, fixed sound absorptive panels, Noro-Grano rubber flooring, optical grade engineered skylights, framed hardie panel system, exposed structural glued-laminated timbers, a curtain wall clearstory and a garden roof.